A digital superstar is not outstanding for having the best marketing strategy. They are outstanding for recognizing the right marketing strategy at the right time. The market is impressionable and is constantly evolving. The strategy that generates great ROI early in the year may backfire on you months later. This is why digital superstars use tools like Google Analytics to measure the source and quantity of leads or sales. Doing so helps them to improvise according to market trends and stay on top of the game. When it comes to digital marketing, longevity and consistency are as important as quality and quantity. Instead of spreading your budget thin on a large variety of platforms, it’s important to stay in control of your cost by focusing on narrow and vertical target markets. Prioritize your marketing channels and invest in places that promise profits and the greatest growth. If you want to integrate a new digital marketing strategy, make sure to re-assess your budget and have enough data insights to support your decision. 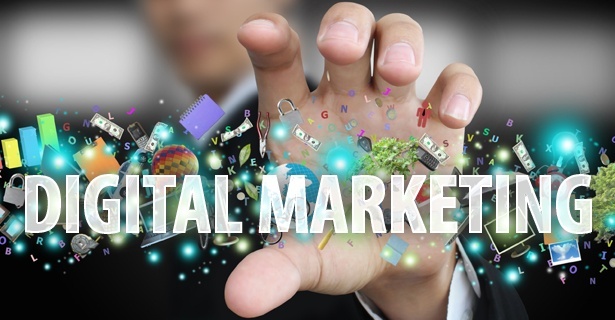 More and more companies are personalizing their digital marketing campaigns. Whereas ranking for keywords remain important in search engine optimization, ranking for local SEO terms and phrases will help you to drive more relevant traffic to your website. As a digital superstar, you need to understand both the small and big pictures of digital marketing. As a result, you should not only have a global message for a generic audience, but also a set of specific, unique messages that target certain communities, geographic locations, age range, and occupations. Be specific, so your marketing proposition speaks personally to a wide audience. The number of mobile users is on the rise. According to CNN, data collected from comScore have led research firm Enders Analysis to find that “mobile devices accounted for 55% of Internet usage in the United States in January. Apps made up 47% of Internet traffic and 8% of traffic came from mobile browsers … PCs clocked in at 45%.” In other words, Americans are using smartphones and tablet apps more than PCs to access the Internet. Allocate budget to target mobile users by making sure that the ads you use display properly and beautifully on small screens. Let your customers know that their money is making a difference in the life of others by being open about your philanthropic efforts. Be it ending hunger in Africa or giving funds to breast cancer research, setting aside a percentage of your ROI to support worthy causes promotes both your brand name and company as a whole. Show your customers/clients that you’re making the world a better place, and they will help you to fulfill your digital marketing goals and philanthropic visions. Digital marketing is the future. When done right, you can be the superstar and outshine your competitors! What are some of the tips you’re using to compete effectively in your niche market?